When it comes to shipping a car, there are two methods from which you can choose. The most common way to transport your vehicle is shipping your car in an open trailer. You might have seen open car carriers on the road hauling several cars at once. The reason open car transport is so popular is this method’s affordability. While enclosed auto shipping is the most secure option, it is more expensive and usually used for exotic cars. 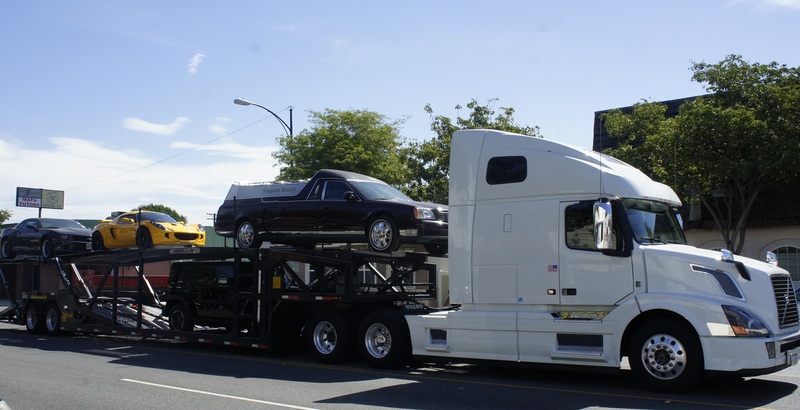 For most relocations or travel it is best to choose open auto transport: it is still absolutely safe and the price is lower. And our company will be happy to provide you with this type of transportation! If you are relocating to or from Baltimore and looking to save money, we recommend you using open auto transport. We will pick up your car at your location and deliver it door-to-door in an open trailer. Our driver will properly secure your vehicle and make sure it travels safely. Additionally, you will not have to worry about insurance because your car will be protected with our car carrier’s coverage for the time of transit. So as you can see, open auto shipping is no hassle for you, as it is as safe, affordable, and convenient. If you are looking to ship a retro car or sports car, or other exotic vehicles, you should consider enclosed auto shipping. While more expensive, it ensures the best protection for your vehicle during transportation. If you choose this method, your car will be shipped in an enclosed trailer. This way, it will be protected from weather, road dirt, dust, and debris. Whichever method you choose, do not hesitate to contact Baltimore Car Transport with any questions. You can get a free quote for your Baltimore car shipping from us online or over the phone.